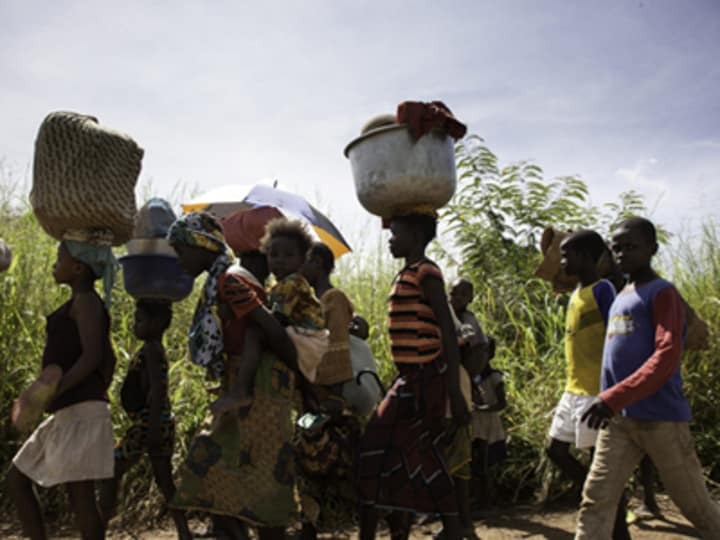 The humanitarian crisis brought about by renewed clashes in the Central African Republic is brewing frustration among aid organizations which have been dealing with bouts of violence in the country for almost a year now. Medecins Sans Frontieres has spoken against U.N. agencies in an open letter published last week over the latter’s “unacceptable performance” in responding to the crisis in CAR — from the start of the rebel offensive in December 2012 to the fresh wave of violence early this month. The letter, signed by Joanne Liu, the organization’s international president, spoke of failure to respond to “glaring” humanitarian needs and “extreme” security precautions. U.N. officials, for instance, wear military helmets and flak jackets in an environment that the organization says “does not require such protective gears,” and they remain on lockdown while 30,000 people clamor for assistance in the Bossangoa camps, and even if others — MSF included — were able to prove they can continue working, claimed MSF. “MSF deplores the appalling performance of UN humanitarian agencies and reminds them of their responsibility to mobilize and coordinate effective and principled humanitarian action, advocate for the rights of people in need, and facilitate sustainable solutions to the current crisis … Notwithstanding its own important efforts, MSF and the handful of other competent NGOs in CAR cannot cover all the needs. United Nations agencies need to reinforce their capacity at ground level since many aid agencies rely on them to provide the umbrella under which they can operate,” wrote the president of one of the few organizations that has remained in the CAR amid aid groups’ exodus from the country early this year. Conflict situations and grave humanitarian situations have a way of brewing sentiments between and among aid organizations. This is not the first time MSF has singled out U.N. agencies for their work on the ground, and the organization has been known to be very vocal on causes it supports, as in the case of making GAVI discounted vaccines also available to NGOs. For instance, the medical charity voiced frustration over U.N. agencies’ shortcomings in adequately preparing assistance to South Sudanese refugees at the start of this year’s rainy season, when it’s not a new problem.